Benefactors | ECIR Group, Inc. Many thanks to our Benefactors who have a clearly demonstrated history of supporting the members of the ECIR outreach groups and nonprofit in their quest to support all horses, but most especially those with equine metabolic disorders. 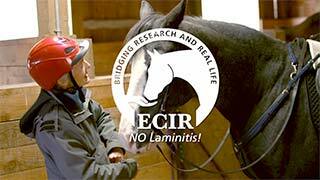 These businesses represent products and services that are generally recommended safe for Insulin Resistant and Equine Cushing's horses, support the protocols used by the ECIR Group Inc., and have demonstrated a willingness to listen to and work with the ECIR outreach group membership.